The PAX East is in full swing and a FFXIV team is also on site with a lore panel. While the director and producer of Final Fantasy, Naoki Yoshida, is not there, he did have something geared up for the fans during the FFXIV Lore panel: The Bunny costume for the men is coming. 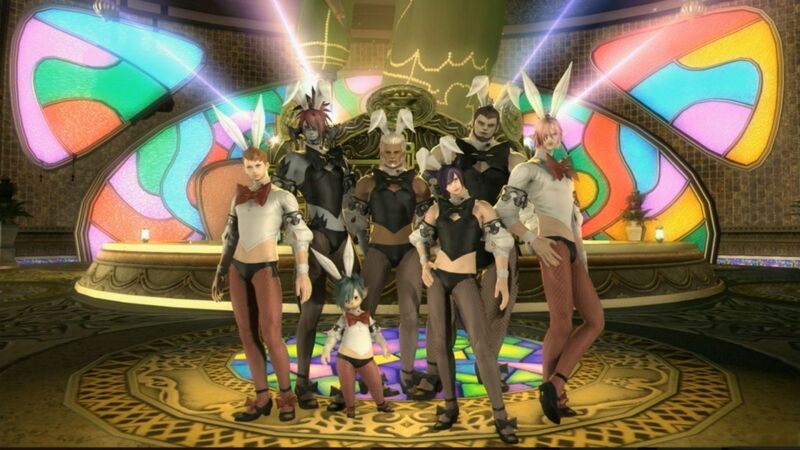 The bunny outfit has been around in FFXIV for a very long time. Even before the release of the first expansion "Heavensward", players could buy the costume for their characters at Gold Saucer. The catch: the outfit was available only for female characters and therefore came at some point the request for a male version. The bunny costume for the men became one of the most wanted features in the game. Players expressed their frustration at the constant shift in official forums. His promise to put the outfit into the game, Yoshida even before the release of the extension "Stormblood". But at the same time it meant that it has a lower priority than the other gameplay content like raids and dungeons. But now seems to have an end to the wait for the fans of male Bunnies. The good piece will be released in the course of the 4.3 patch series. In the sense: "Please look forward to it!" For more FFXIV tips and tricks, stay tuned to FFXIV4GIL. You can choose www.ffxiv4gil.com where you can buy Final Fantasy XIV Gil cheap.